Course duration: 2 days 9:30am-4:30 pm Model Required Both Days from 1:00 P.M to 4:00 P.M. Course cost: $999 Including Basic Kit Valued at $223.50 (or Upgrade to Quick Start Kit for $444.00 or Premium Kit for $585.10 extra) Plus Training Manual And Certificate. AMBI issued nationally recognised Statement of Attainment for SHBBMUP001 Apply Eyelash Extension upon successful completion of this short course for an additional fee of $450. Overview of eyelash extensions: About eyelash extensions, eyelash product overview, extension styles, lash extensions, special occasion lashes, eyelash extension weights curls and lengths, glue information overview, storage and safety practices, contraindications and side effects, eye infections and how the growth cycle works and affects extensions. 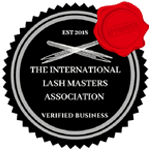 Client assessment Practices: Client assessment process, assessing the client’s eyes and lashes, assess and discuss options, lash shape, determining the lash weight and length, practical client assessment exercise. Client preparation and application for a new set of eyelash extensions, correct lash application, eyelash extension removal, and cause of eyelash damage. Eyelash extension Refills, redefining your lash designs, troubleshooting. Advise on how to market and price eyelash extensions, products to retail, client aftercare advice.